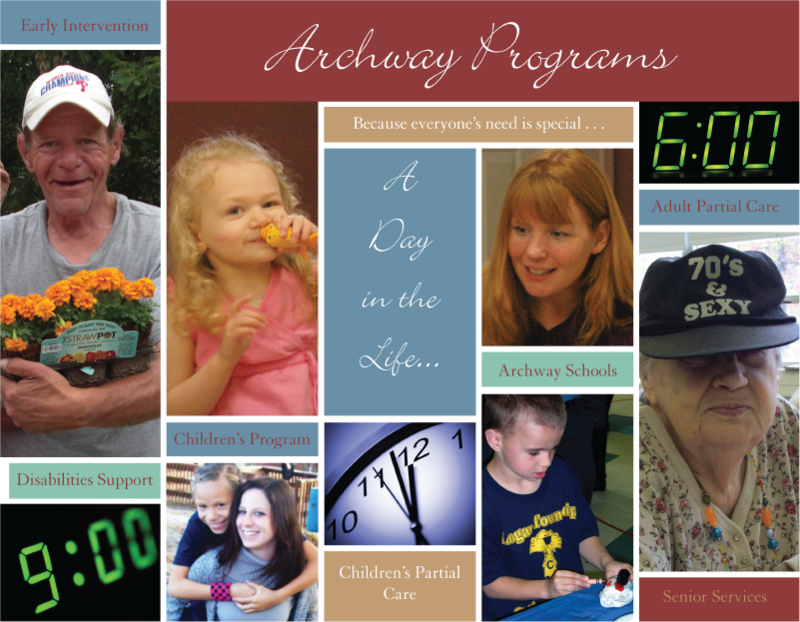 Archway Programs offers a wide array of people, services, products and facilities committed to excellence and dedicated to assisting children and adults to succeed one day at a time. 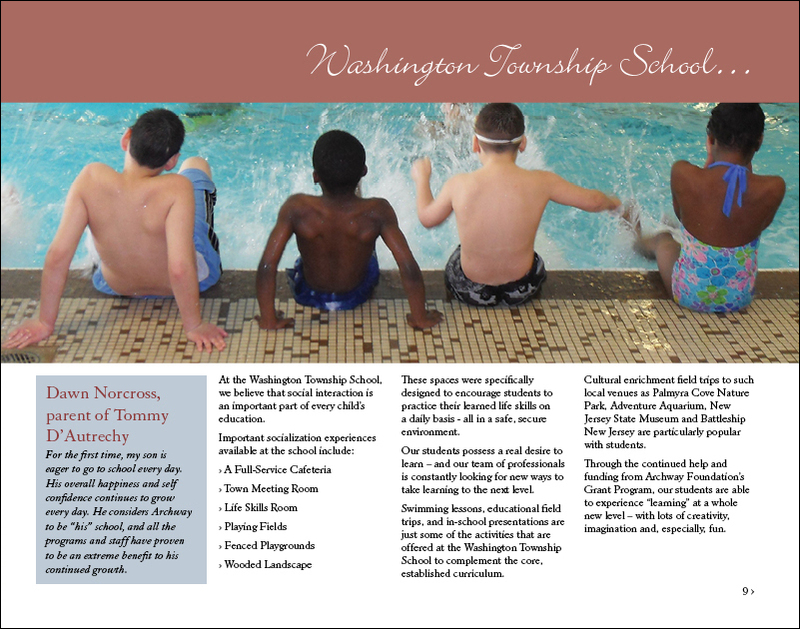 The design of A Day in the Life illustrates the hours of a day with photos, text and testimonials throughout the 24 pages. 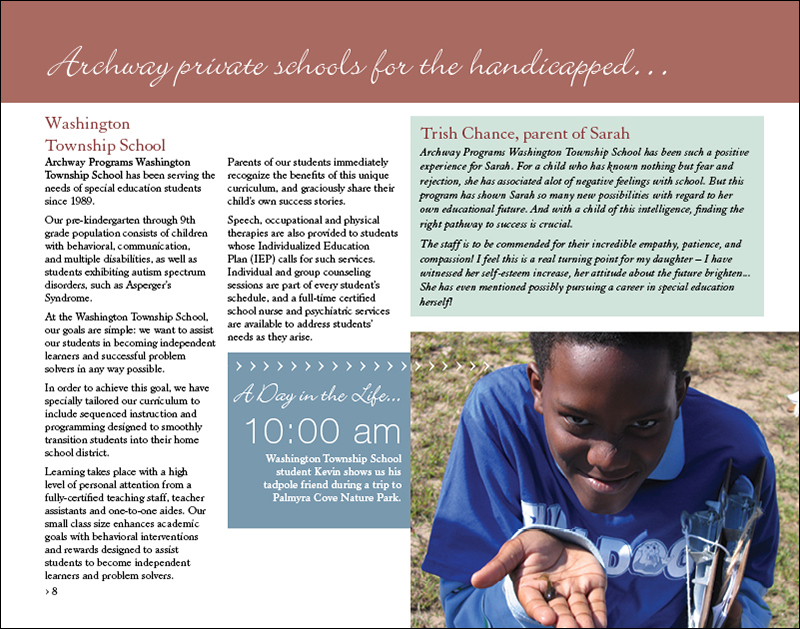 idesign communications has worked with Archway Programs since 2008.